Hi! 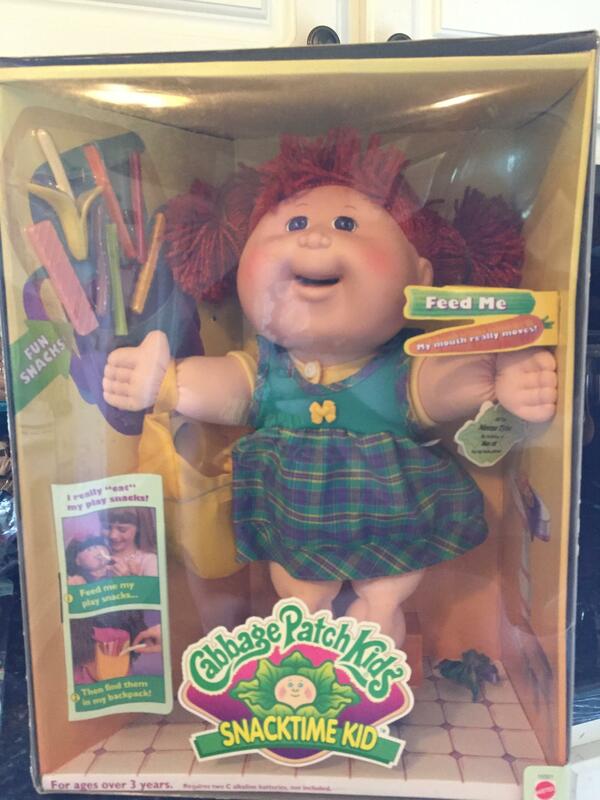 I recently came into possession of an unopened Cabbage Patch Snacktime Kid. My grandmother bought it for me when I was young, and then once it was recalled she never gave it to me. It has sat in a cabinet unopened for the last twenty years, so is in excellent condition and will include all food, the backpack, etc. Taking offers to sell. See picture below. Please message me via the site if you're interested! I am interested in purchasing your Snacktime doll. I am in New South Wales Australia and was wondering if you could post it to me?